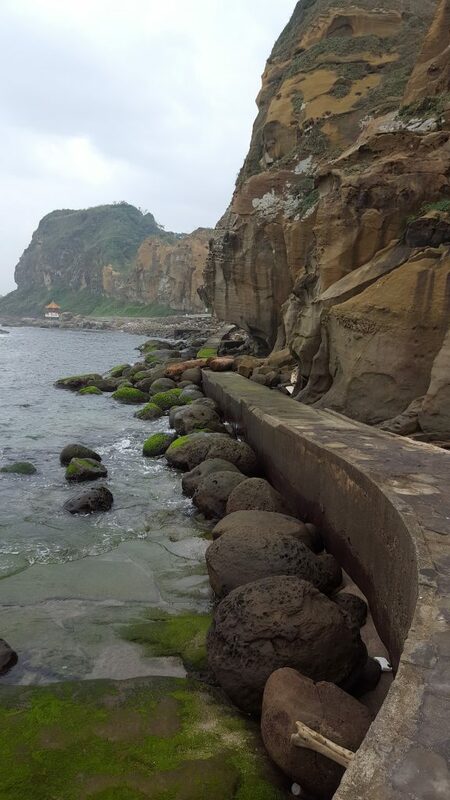 Surrounded by high mountains and a beautiful ocean there are endless things to do in Keelung. 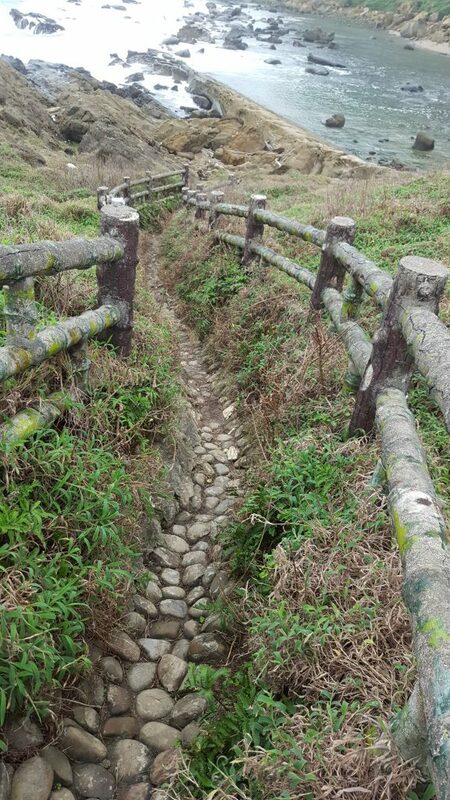 One thing Keelung is perfectly situated for is hiking. A short thirty minute bus ride (NT15) can bring you to some of the more well-known trails, including Heping Island Park, Chaojing Island, and Lover’s Lake Park. 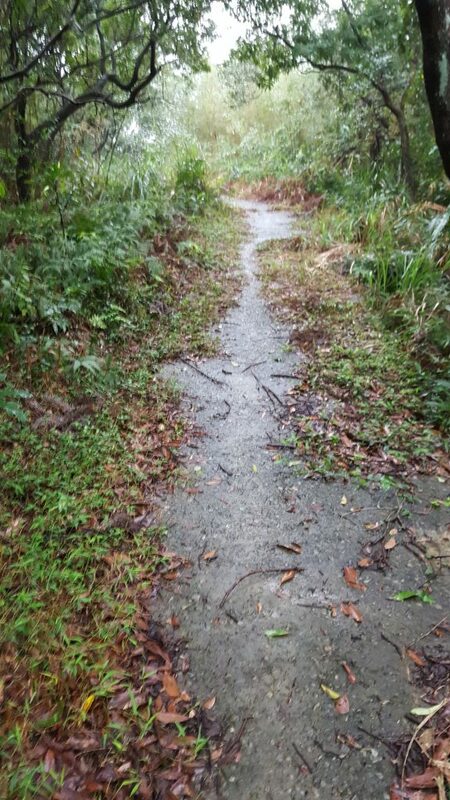 Visitors can walk on worn dirt paths and stroll through nature, listening to waves crashing and insects chirping. At the top of these places, you can find magnificent views several thousand kilometers above sea level, watching tiny figures go about their daily lives or wistfully gazing at the foggy mountain skyline. Yet what most people don’t know is that there are many hiking trails off the beaten track. These trails are for adventurers seeking a more exciting challenge. They are unmarked on any map, but are definitely worth the trip. So if you are wondering what things to do in Keelung that are different from your average city, read on! Disclaimer: Some of these trails are dangerous and may trespass on properties. I was able to walk through them with a guide and had asked for permission. Be sure to ask if you are allowed to walk through these areas before embarking on your journey. Note: Wear proper hiking gear when hiking on these trails! 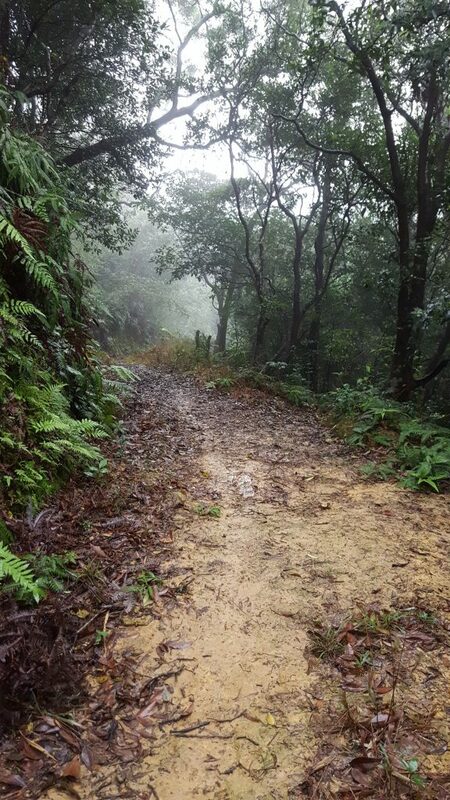 Because of Keelung’s frequent rainstorms, mud and wet leaves make the trails extremely slippery and occasionally difficult to walk through. Go with a partner to ensure your safety and be sure to have emergency contacts on hand just in case. Okay, “Peter Pan’s Cove” is not the actual name of the place--I’m just reminded of Neverland’s Mermaid Lagoon when I see this place. It’s a beautiful, quiet niche along the Wangyou Valley trail at Chaojing Island, and the vertical slabs of rock make the area seem entirely closed off to the rest of the world. Waves crash on a small beach with grainy sand. Nearby, rock formations jut out from the sea and frequent white-edged waves slap hard against them. You can walk straight up to the clear, sparkling water as though it’s your own personal beach. The trail itself is not too difficult. In fact, there are (some) stairs leading down to the cove. At one time, it seems as though this was a trail that people could take until rock-slides crumbled down onto the beach and broke parts of the trail. You may have to clamber your way around some of these rocks and fallen branches to get to the beach, but overall the trail is pretty clear. When you first arrive at the trail, take the stairs down. 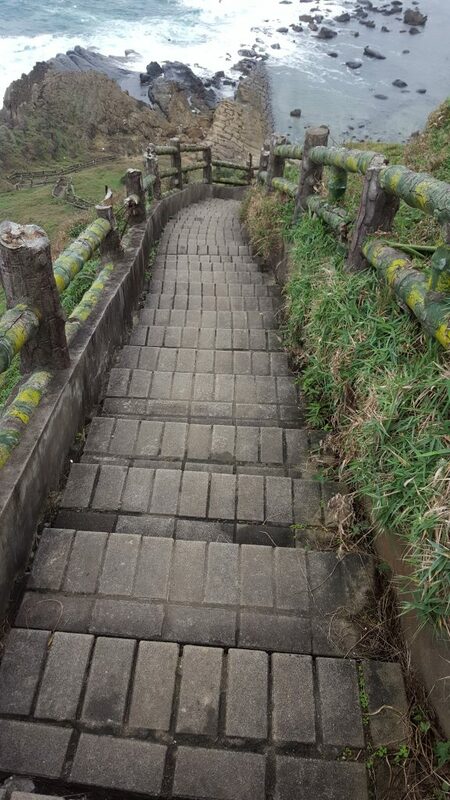 After about halfway down, you’ll notice that the stairs disappear and that there is instead a narrow pathway guarded by bamboo and metal wiring. Be careful of the handrails as they have broken off, sometimes leaving an angry copper wire sticking out dangerously. How to get there: Take the 103 bus from Keelung Train Station to the National Museum of Marine Science and Technology Station (the museum should also be on your things to do in Keelung checklist). 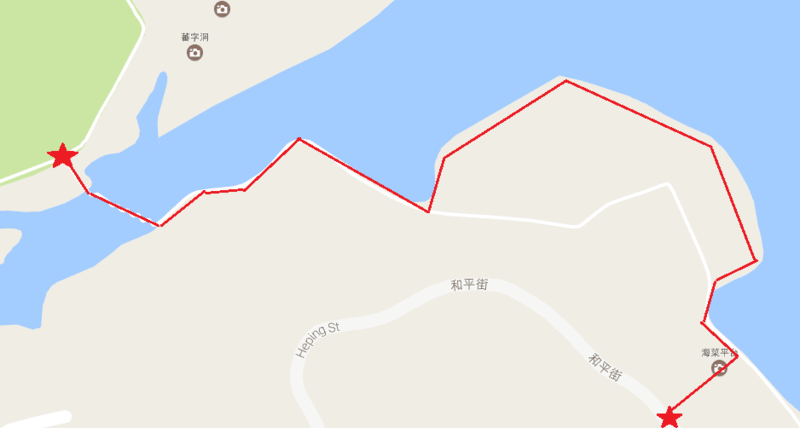 Walk north around the island until you reach 幽谷濱海步道 (yōugǔ bīnhǎi bùdào). There, you will see a short path behind an enclosed gate, leading down to a steep mountainside. At Heping Island, a wide, expansive trail winds up and down between the mountains and intriguing rock mushrooms. If you enter from the front entrance (where the parking lot is located), you’ll find that the greenery and level view of the ocean is spectacular. There is, however, an even better view of the ocean than what is on the regular track. Walk through the ocean-side trail and you can literally walk on water as you pass by. To begin, you’ll need permission to enter through the gates located at the back of the park. If you obtain proper entry, walk through the gate. You’ll notice that there is a semi-wide, white concrete platform that zigzags through the river. Make your way across until you hit the wooden path. This path will remain open only during low tide. When it becomes high tide, you won’t even be able to see the pathway as it slowly sinks deeper the further along you go. Make sure that you hit the trail at the right time. Otherwise, you may be stranded on parts of the trail until the waves ebb again. Note: Taiwan is known for having an unusual tidal schedule. Instead of the usual multiple tides, Taiwan’s northern tides follow a diurnal cycle, meaning that there is only one high tide and one low tide per day. 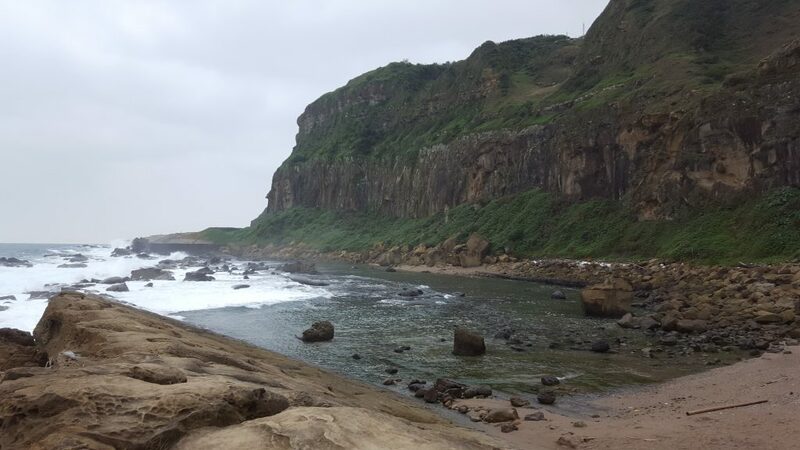 Luckily, this also means that you can schedule your hike more easily around the 12-hour block, so when thinking of things to do in Keelung during your visit, ensure you consider this. When you walk through, you’ll have to hop over some fallen branches and rocks. You may also encounter some ocean animals, including groups of crabs, different kinds of worms, and flocks of birds. These sights are incredible to watch. Take some time to enjoy the natural views and the breathtaking ocean on your left side. 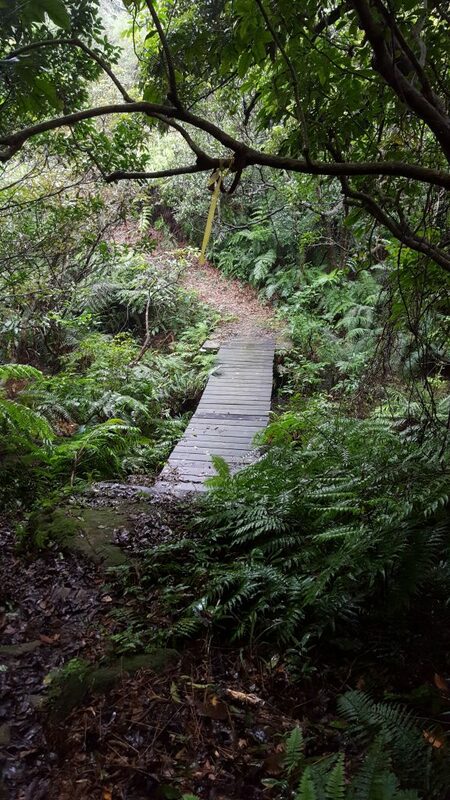 Near the end of the trail, you’ll hit a wooden pathway with broken green poles. This used to be the awning of a fort during past Japanese occupation. Be careful as you pass as they may snap off. You’ll also notice a small temple at the end of the path. If the tide’s low enough, you can walk quickly to it. 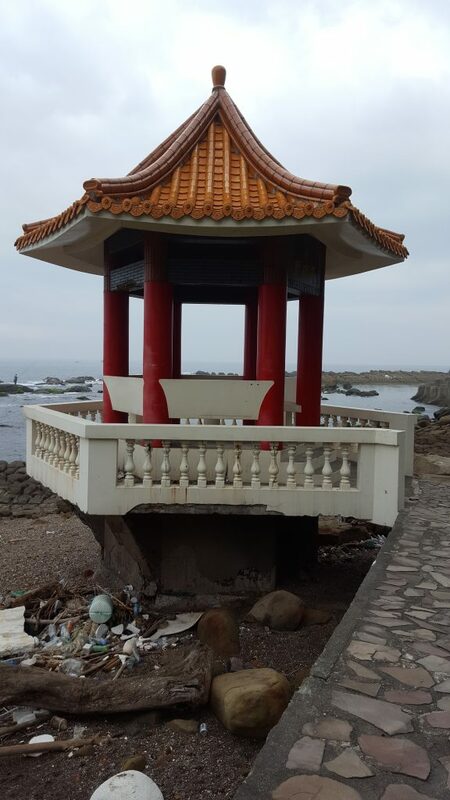 It’s a memorial of the dead Ryukyu fisherman, demonstrating over a hundred years of friendship between the Taiwanese and Japanese. The writing on the ceiling describes the history of the relationship and gives praise to deities for protection. You can look out to the sea and imagine this first look. Discovering the history is one of the most fascinating things to do in Keelung. To get back to civilization, turn right at the end of the path towards the mountain. This will lead you through a short five minute walk through the mountainside, which is both eerily silent and peaceful. You will reach the back gate of the trail. 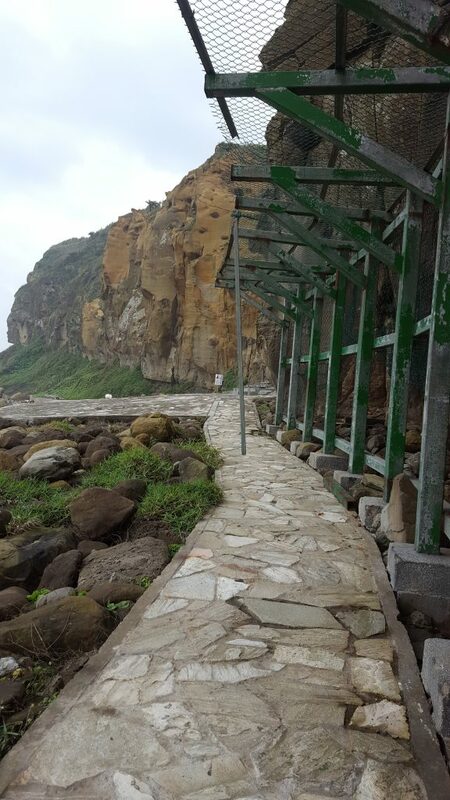 Walk through it to re-enter the main neighborhood of Heping Island. Bonus: If you feel up for yet another challenge, at the end of the trail, turn left and walk up the mountain. You’ll pass a few old houses and perhaps some locals working on automobiles. It takes approximately fifteen minutes to walk all the way up. 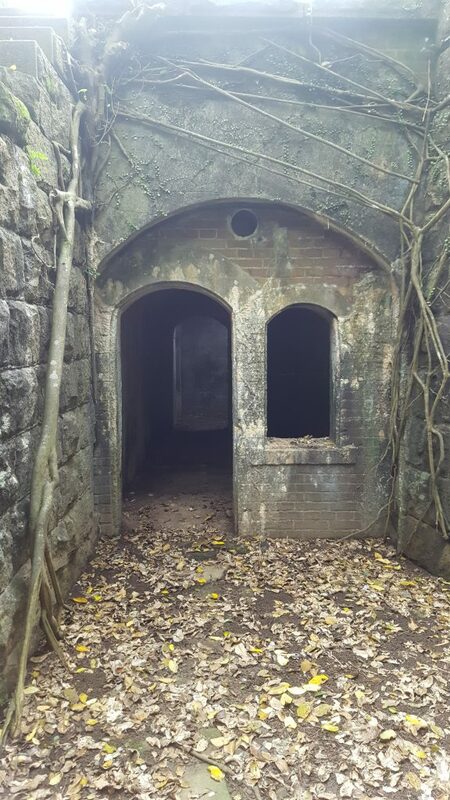 When you arrive at the top, you’ll encounter an old fort that was built to watch for invasions. This fort has broken down, leaving only an abandoned few walls with shrubbery growing on them. 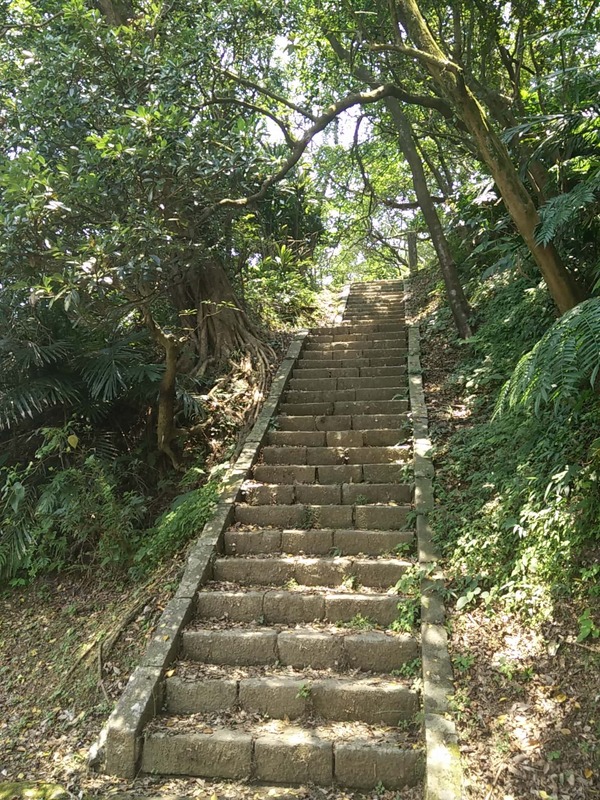 If you climb up the stairs, you will have the most spectacular view of Heping Island. How to get there: Take the 102 bus to Heping Island Park and walk north for approximately ten minutes until you reach the front entrance. Go through the regular path. 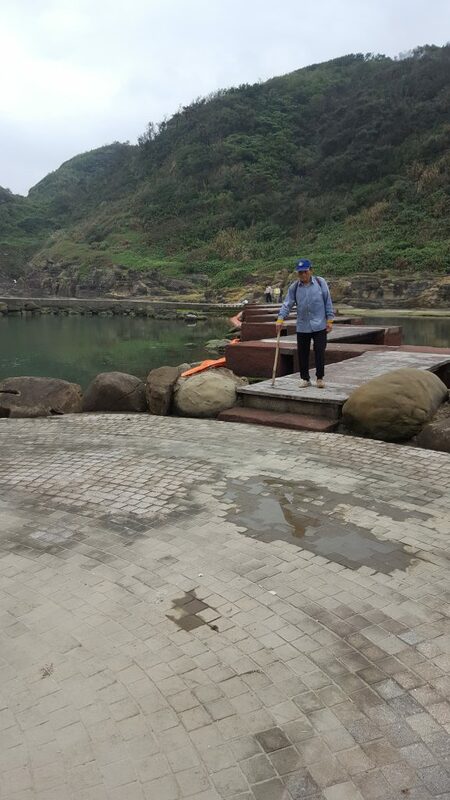 At the end of the regular path, you’ll be able to see on your left the zigzag pathway across the river, which is the entrance to the ocean-side trail (must apply to Heping Island Park for the park entry permit ). This hike is the most difficult out of these three suggestions. There are only a few indicators that there is even a trail and the path is extremely steep at times. 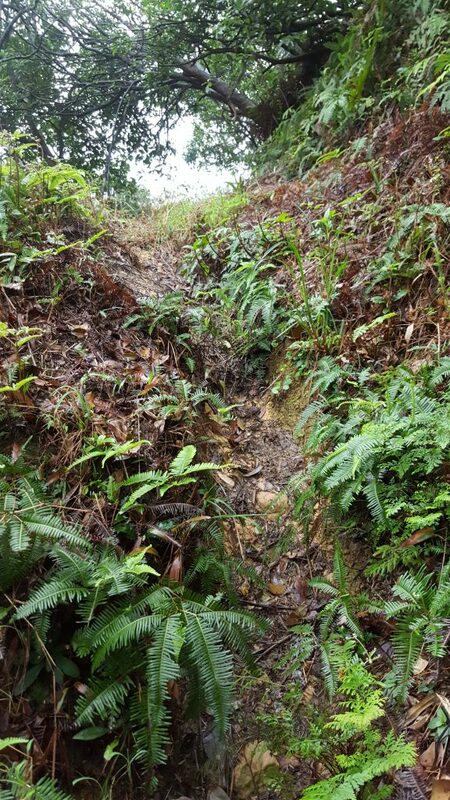 In the rain, it’s best to avoid this trail because the ground can become incredibly muddy, leaving no footholds or handholds for balance. The trail begins at Lover’s Lake, at the gazebo on the left. At first, the trail is pretty clear with footprints leading you through the path. Within five minutes, you’ll reach the first electrical transmission tower. Pass by it until you hit the leafy, tree-encased area. You’ll notice at this point that there is a very steep path winding down. Take precaution as you lower yourself. Causing injury should not be on your things to do in keeling checklist! There are several more ups and downs before you reach the bottom of the mountain. There, a bridge carries you across a small stream, though make sure that you are cautious--the bridge is made of wood that is slowly rotting away. Again, falling in not on the things to do in Keelung checklist! The next step is to go up the path again. It takes another ten minutes before you are on semi-even ground. Hike your way through and you will eventually reach an open clearing. 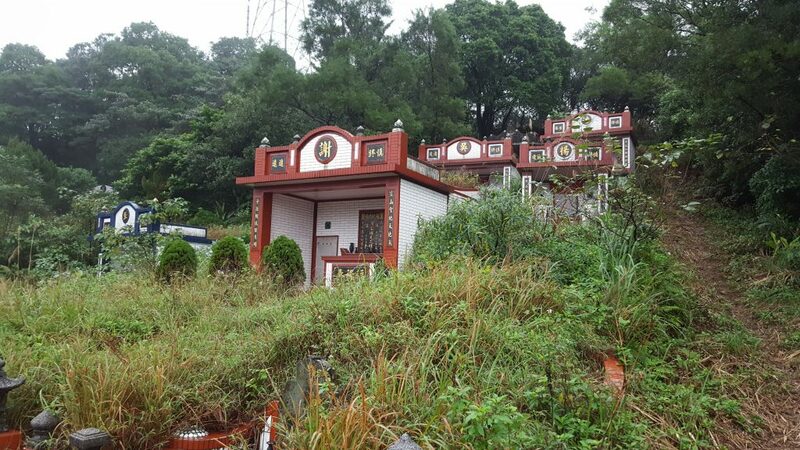 In this area, you will see that there are many temples built to honor ancestors. It is sacred ground so be careful to respect those present. Once you reach the edge of the burial grounds, make your way onto a concrete path. This path is actually marked on the map, though the ground itself changes between concrete, dirt, and grass. The latter part of the trail is easier to walk through than the former part. Then...you’re through! The path leads out to the main road, Highway 2. 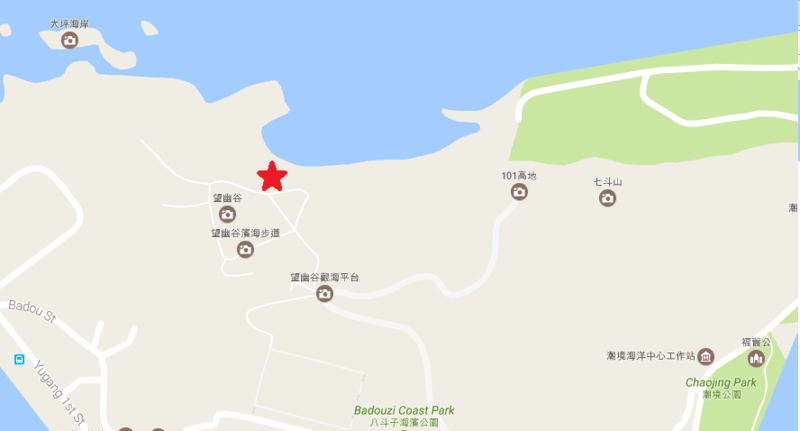 If you want to go back to the main Lovers Lake Park entrance or return to Keelung Main Station, cross the street and take either bus 505 or 508 back. How to get there: Take bus 505 or 509 to Lovers Lake Park. Go up the stairs on the regular path and go to the gazebo at the edge of the lake. What makes Keelung such a great city is that it's surrounded by mountains. Unlike most cities your 'Things to do in Keelung' list will look like a visit to a city and and escape to a rural oasis. Join us on these trails and more today! Melinda is an American student at New York University pursuing a B.A. in Global Liberal Studies, concentrating in Law, Ethics & Religion. She is currently completing her study abroad year in Shanghai, China and hopes to pursue further academic research in gender & sexuality studies, Confucianism, and identity politics. In her spare time, Melinda enjoys cooking up new recipes and discovering new food locales wherever she is, and, as a former yangqin (Chinese hammer dulcimer) professional, Melinda enjoys listening to and practicing traditional music.